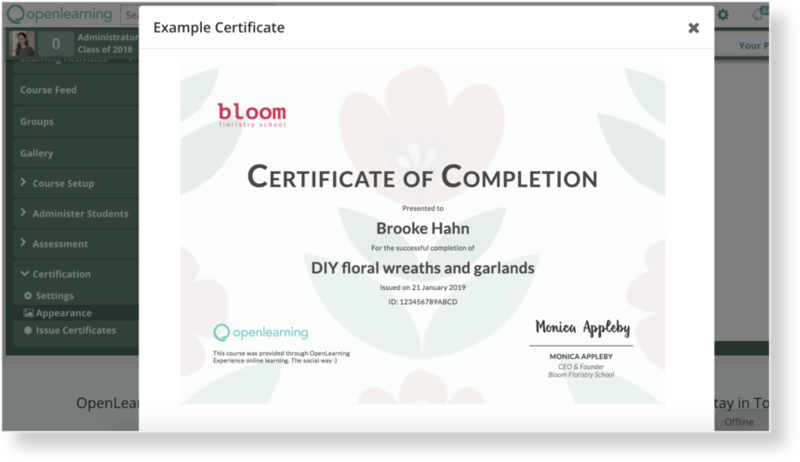 You can set up a custom certificate background within the institution, that can be used across all of your courses. Go to Institution Settings > Appearance and scroll down to Certificate Background. Choose your certificate background file to upload.